It is a pleasure for EADA to announce the participation of a former student of our programmes as a contributor in the development of the Financial Times glossary of economic concepts. Every week, a professor from one of the most prestigious international business schools defines a key term in the Financial Times Lexicon, the online glossary of economic, business and financial concepts of the renowned newspaper. This week’s professor is Yesh Nama, a former student and EADA contributor. 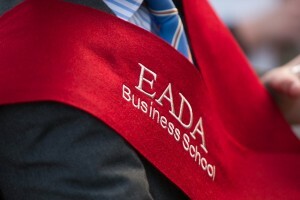 Yesh Nama studied the International MBA at EADA Business School in 2009. He is about to finish his PhD thesis in Aston Business School (UK), in which he takes a sociological approach and focuses his research on investment appraisal and management control in a context of private equity. Mr. Nama, before being a professor, worked in the UBS investment banking division, and in the assets’ operations management team of Deutsche Bank. He currently teaches different courses of management control and accounting in Aston Business School and in EADA Business School. 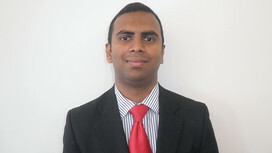 Soon, he will join ESSEC Business School as an assistant professor in management control. M. Nama has chosen to define the term ‘sociology of finance’, but why does he consider this term important? “Can you imagine financial markets without the interaction between an operator/trader and another? Or even the interaction between the economic agents and their technology?”, asks Mr. Nama. He believes that finance is traditionally perceived as an area of numbers and data. However, he considers that it is social by nature, since it leads to interactions between people and technology. “Considering the term ‘sociology of finance’, we take into account both the social and the technical aspect and we focus on how social interactions take place”, says Mr. Nama.